Annex Yorkville Connection Condominiums is located 250 Davenport Road / 181 Bedford Road. 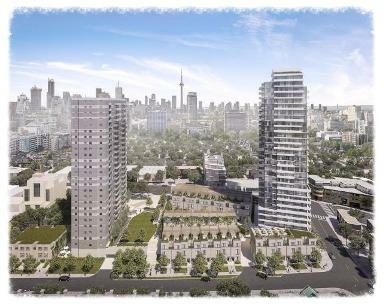 A new condominium development currently in pre-construction by Metropia Urban Landscapes located on Davenport Road near Avenue Road in Toronto, Ontario in The Annex neighbourhood. It is a proposed 28 storey building with 315 dwelling units designed by TACT Architecture Inc.
AYC Condos will be located on Davenport between Avenue Road and Bedford Road in Toronto and consists of a 94 metre high building with 28 storeys as well as 6 integrated townhouses and 39 back-to-back townhouses for a total of 354 units on the west portion of the site. Of these 315 dwelling units in the 28 storey building, 151 will be one-bedroom units, 157 will be two-bedroom units and 7 will be three-bedroom units. There will also be an additional 39 three-bedroom units in the back-to-back townhouses. 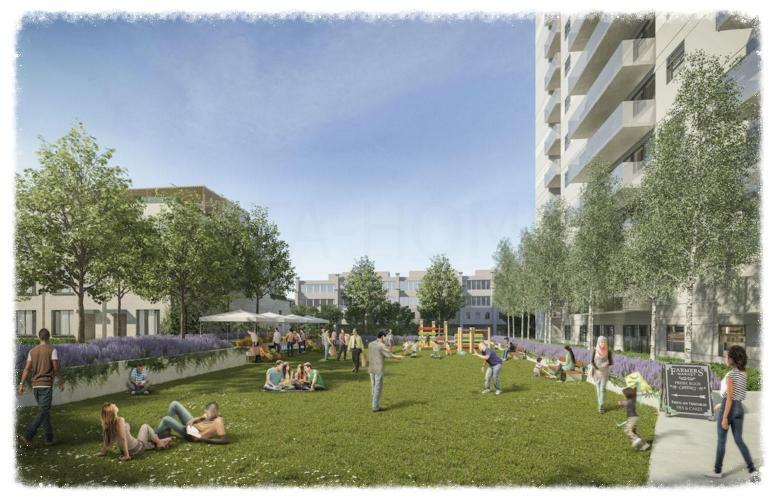 An existing 25 storey apartment building with 449 units on the east portion of the site will be maintained. 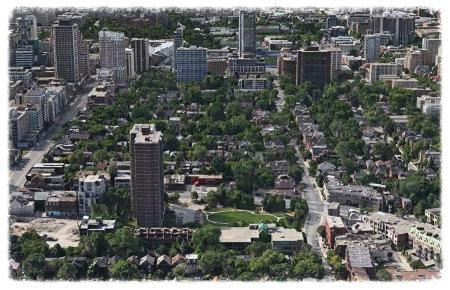 AYC Condominiums is located between the Dupont TTC Subway Station and the Rosedale TTC Subway Station. It is also located just north of the upscale Yorkville neighbourhood where you can find gourmet restaurants and luxury brand names such as Luis Vuittion, Holt Renfrew, Burberry, Tiffany & Co. and Gucci to name a few. Also to the south is the University of Toronto St. George Campus, Queen's Park, The Bata Shoe Museum, Varsity Centre and the Royal Ontario Museum. Total residential gross floor area for the 28 storey building is about 19,357 square metres and there are 333 parking spaces proposed on this site. The final report is expected some time in the third quarter of 2016. Live in The Annex. Live at Annex Yorkville Connection Condominiums. 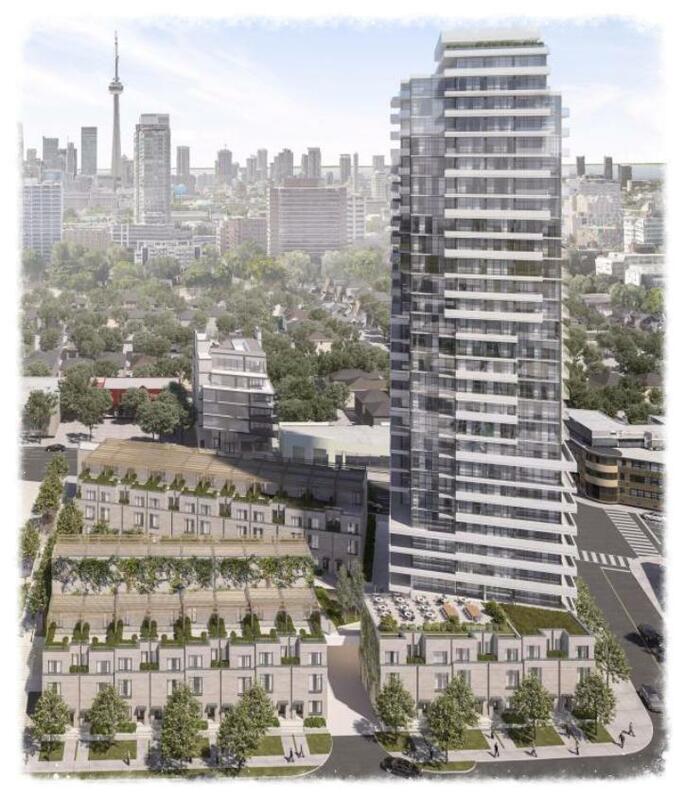 Register with us today for more information on the Annex Yorkville Connection Condos by Metropia.! For more information, please register today for the AYC Condominiums.